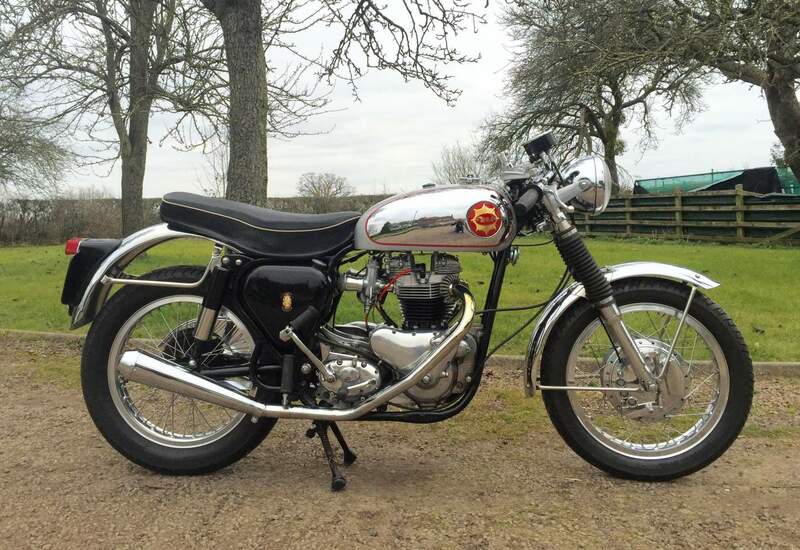 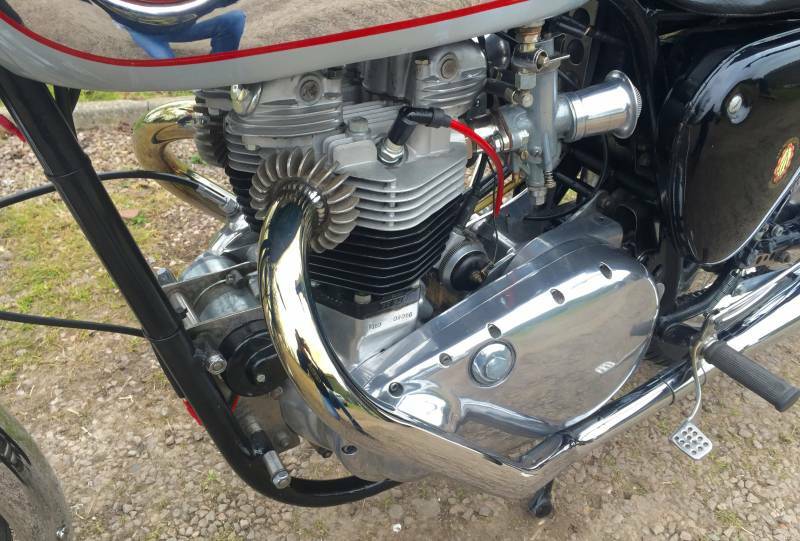 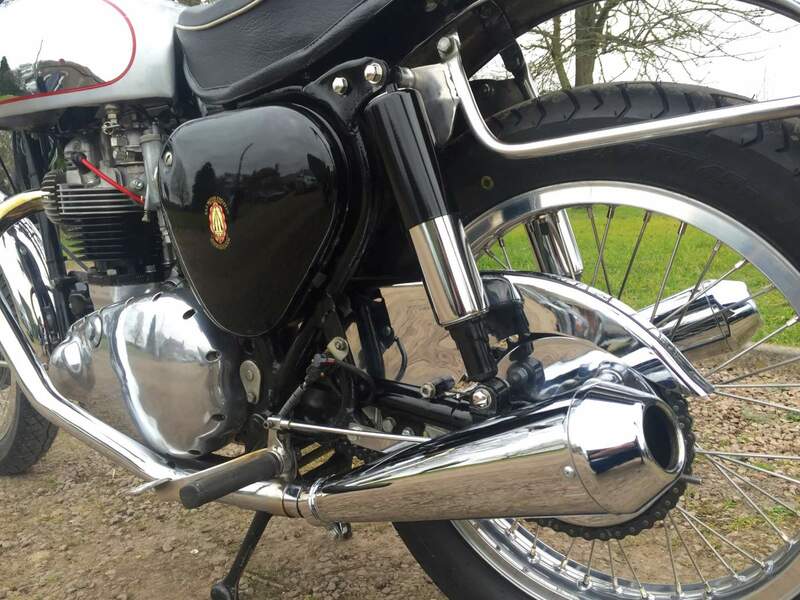 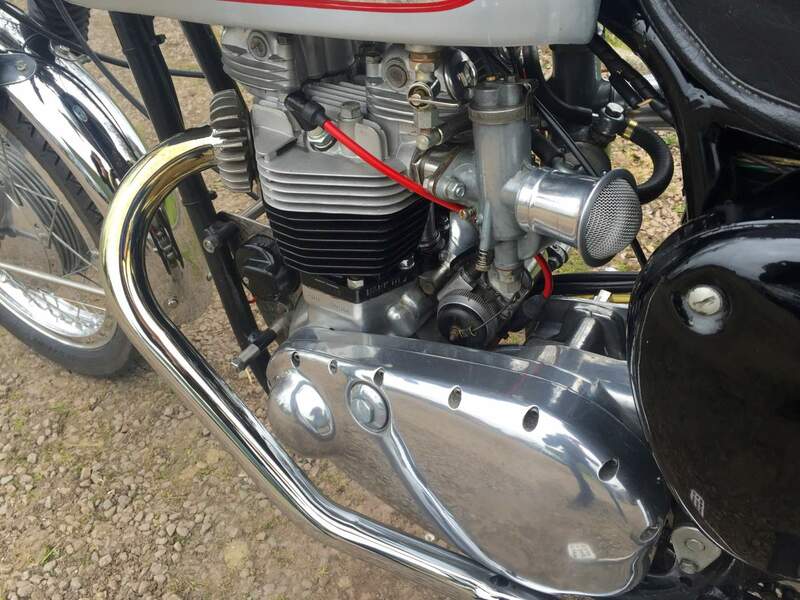 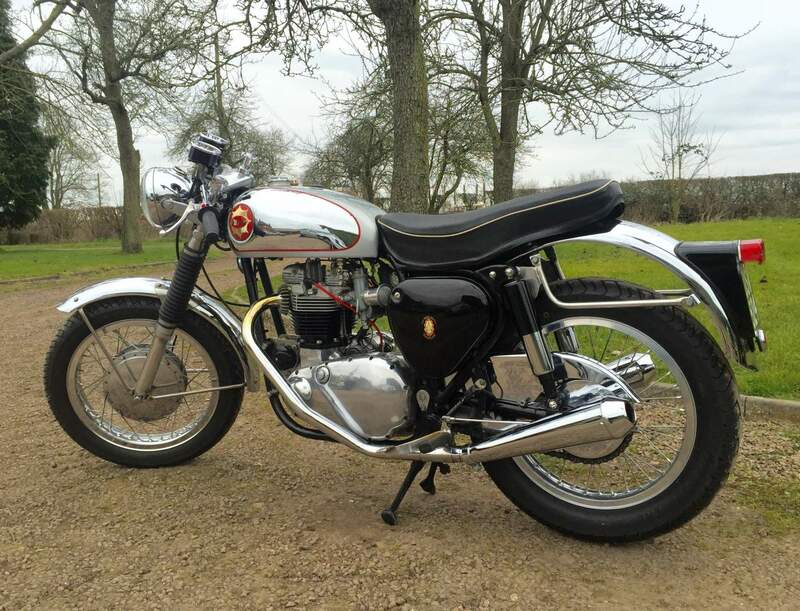 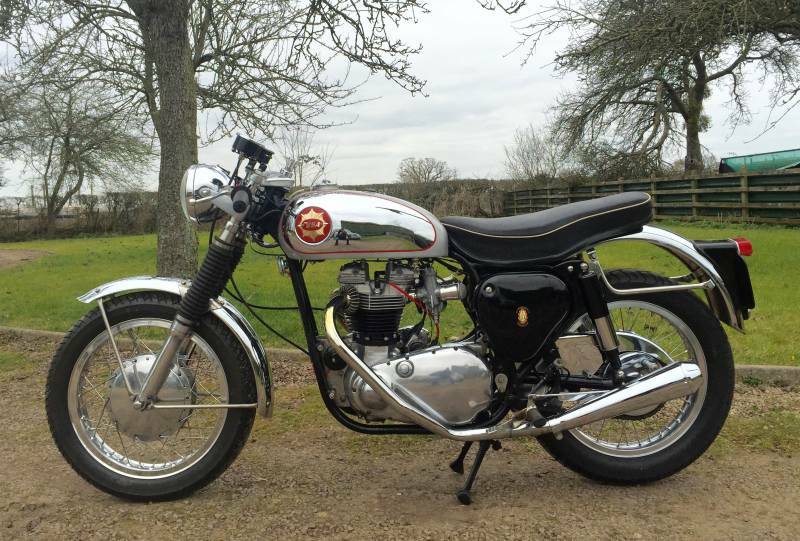 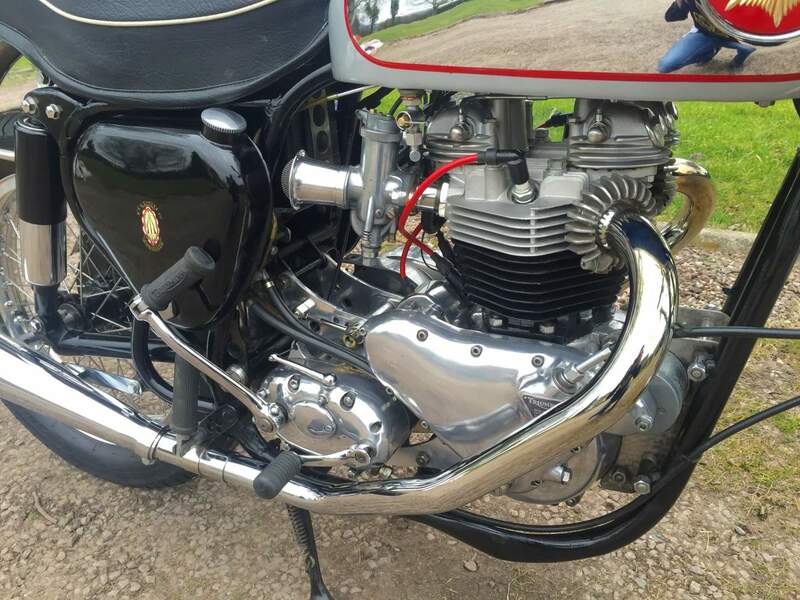 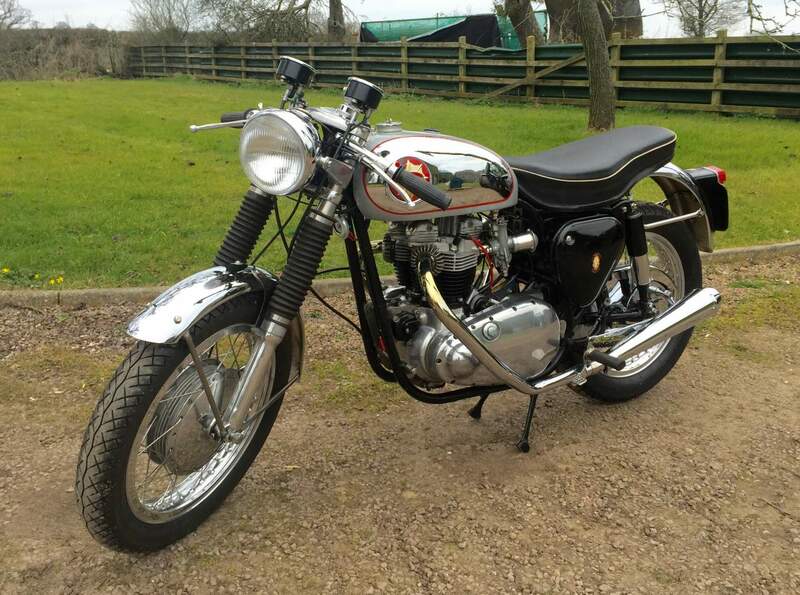 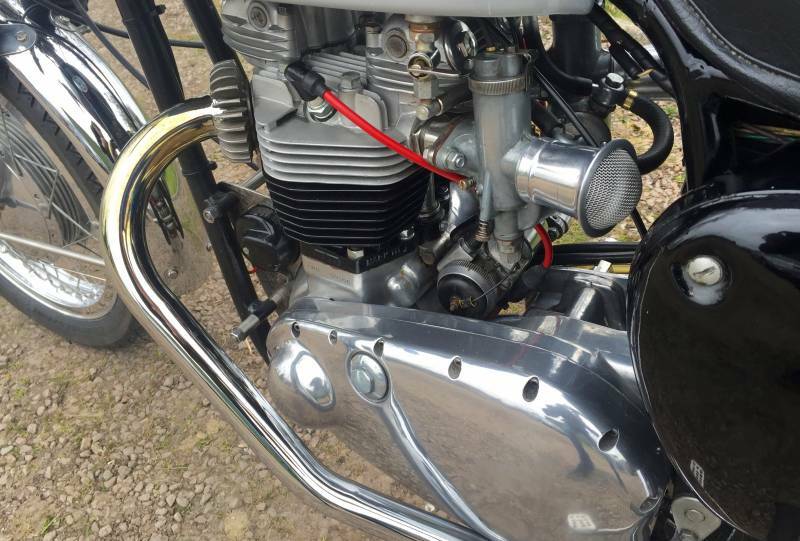 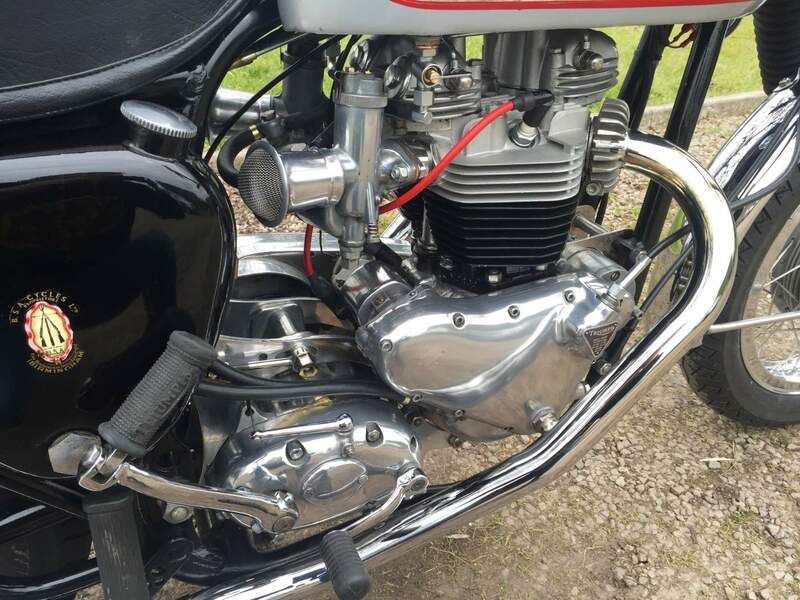 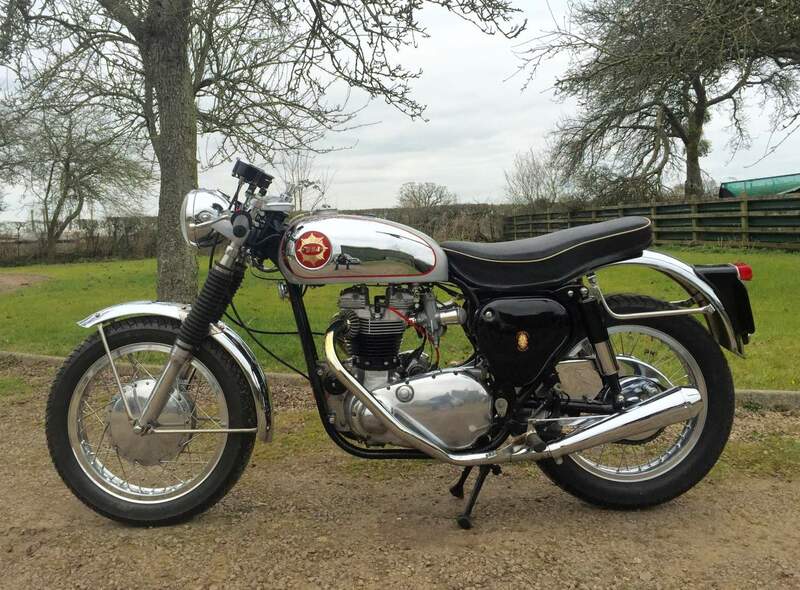 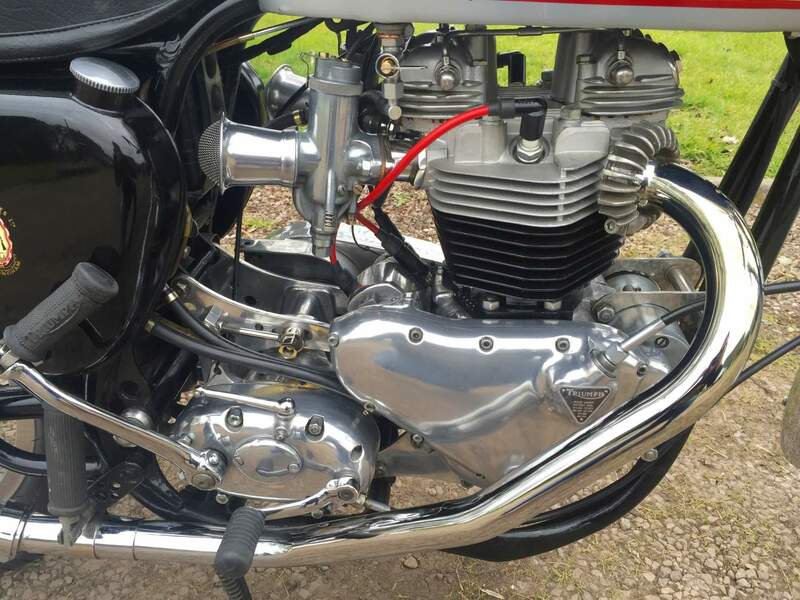 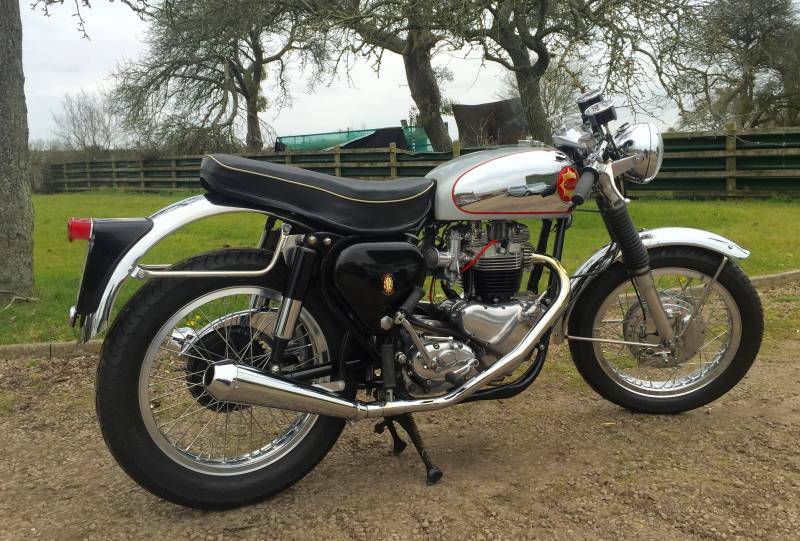 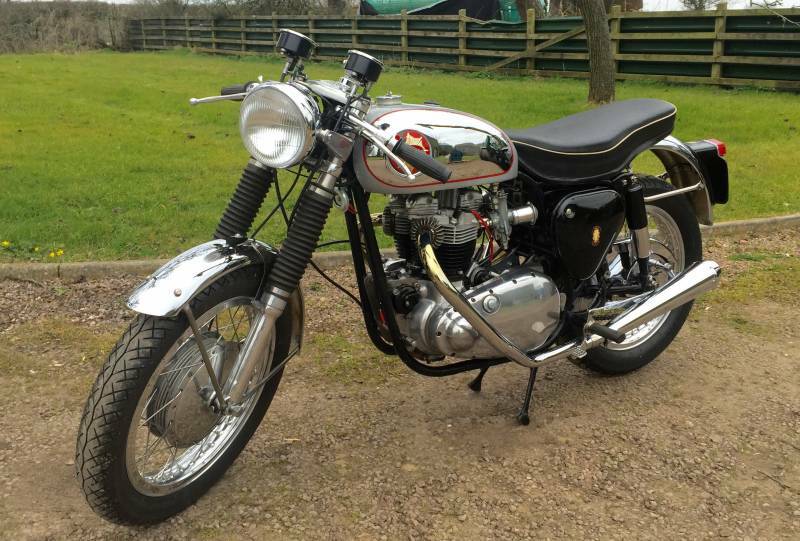 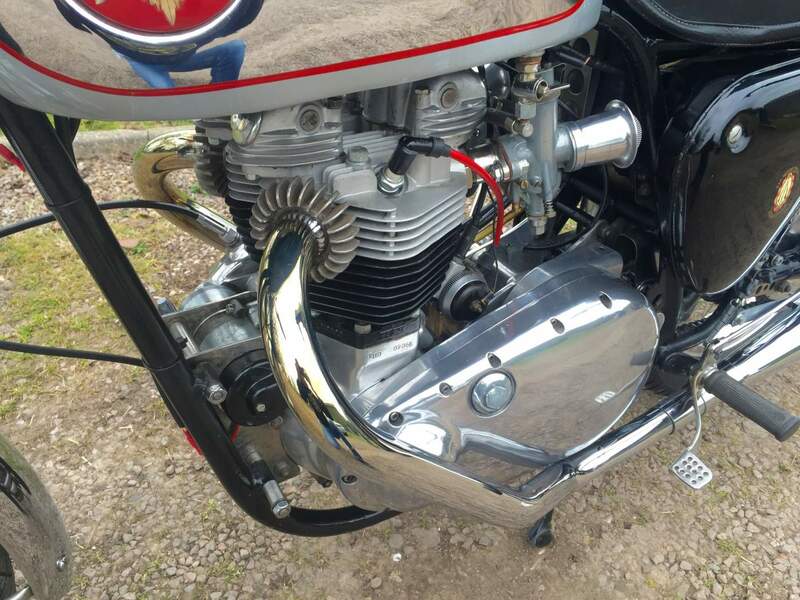 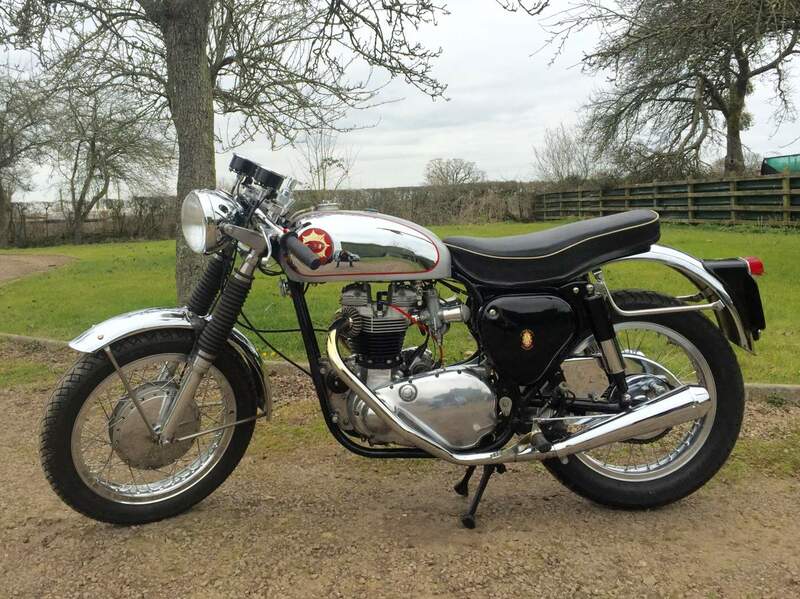 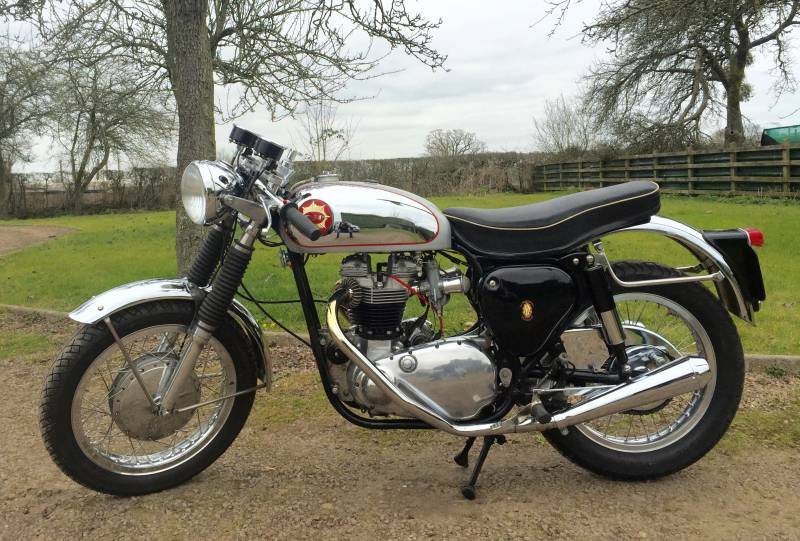 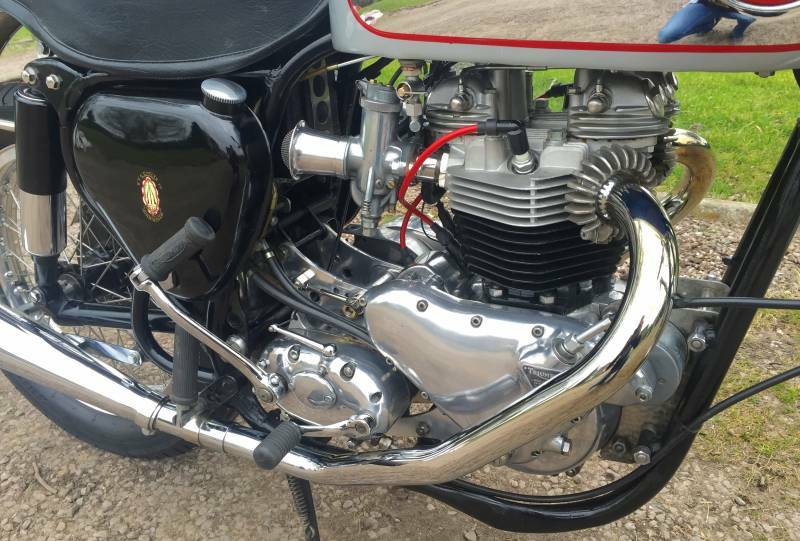 Tribsa 1957 With CB BSA frame, T110 bottom end with Morgo 750 barrels, Bonny Twin carb head and chopped matched monoblocks . 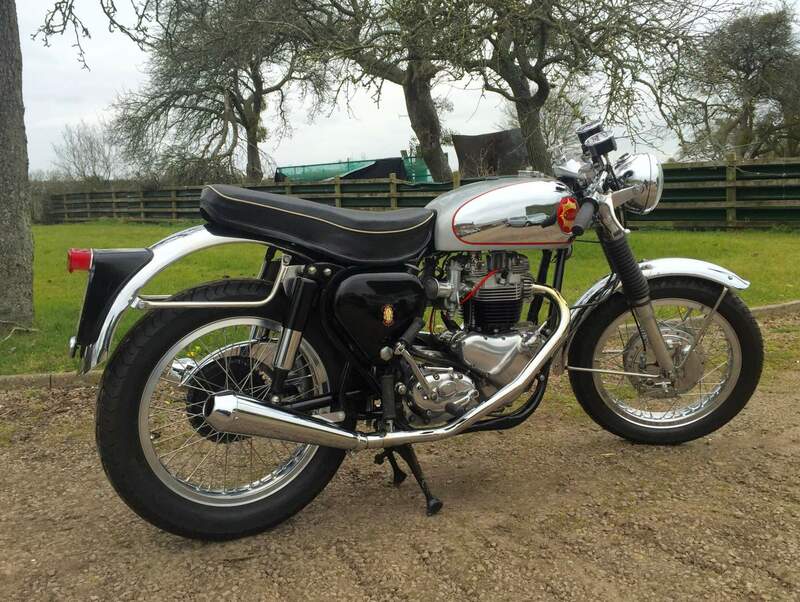 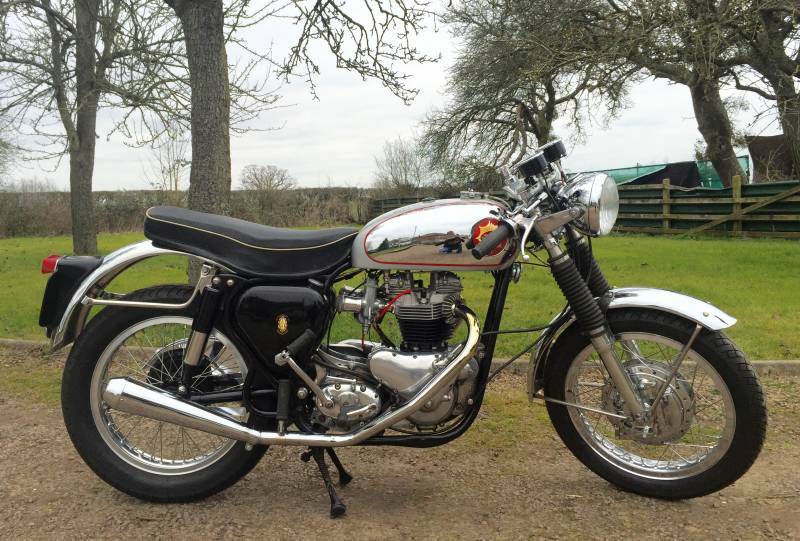 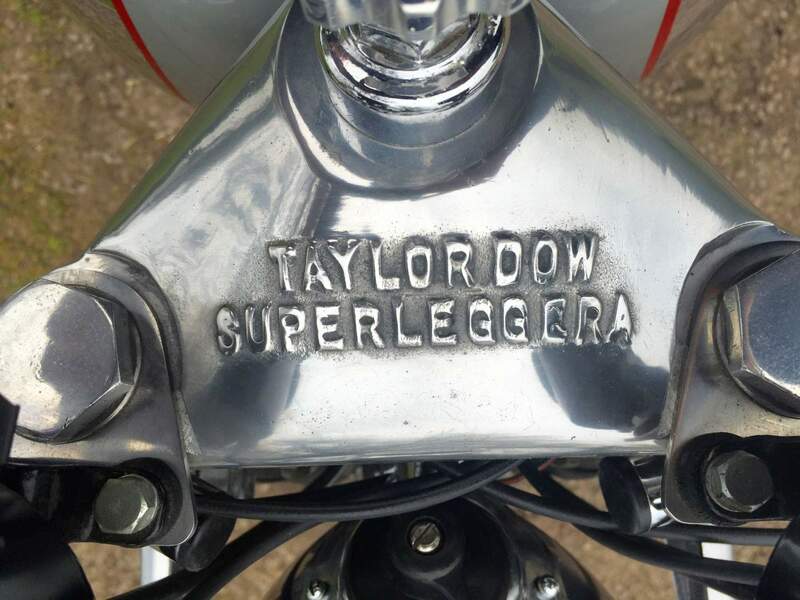 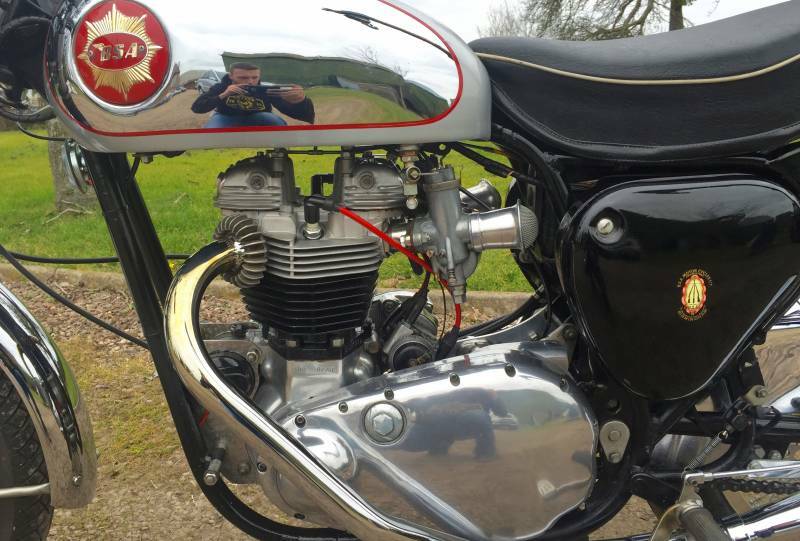 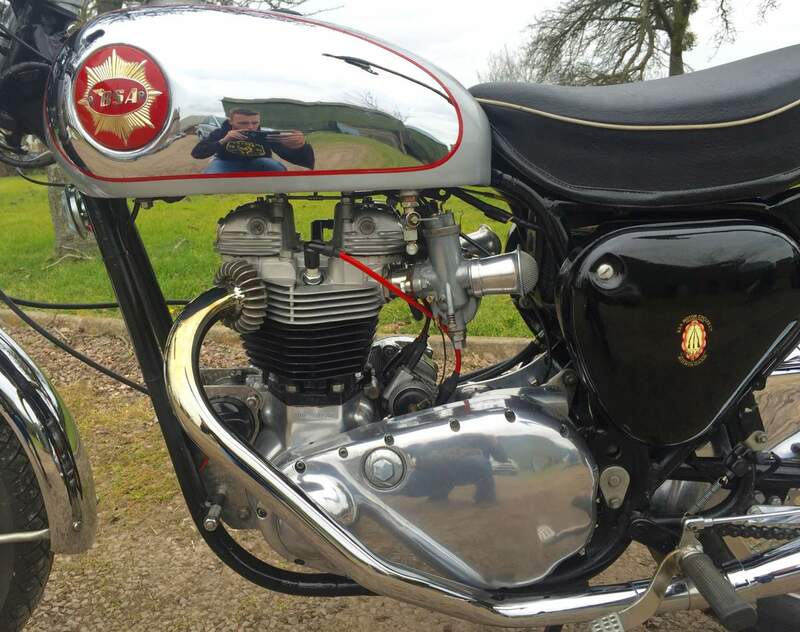 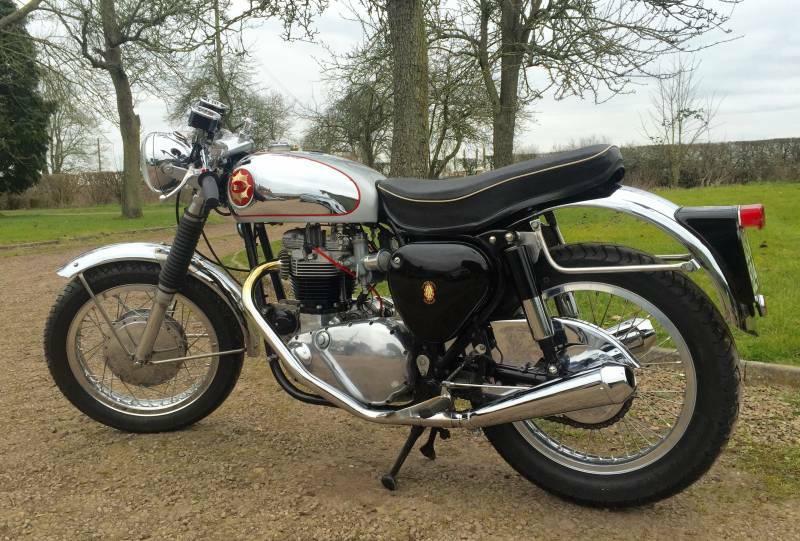 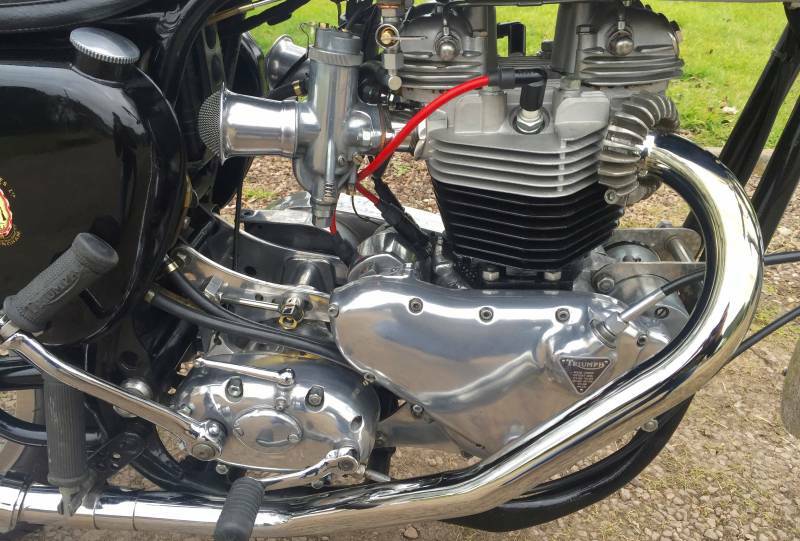 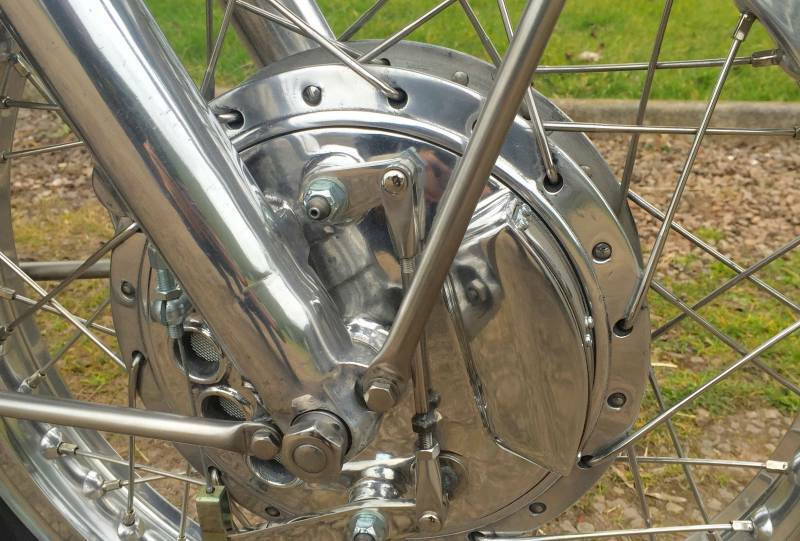 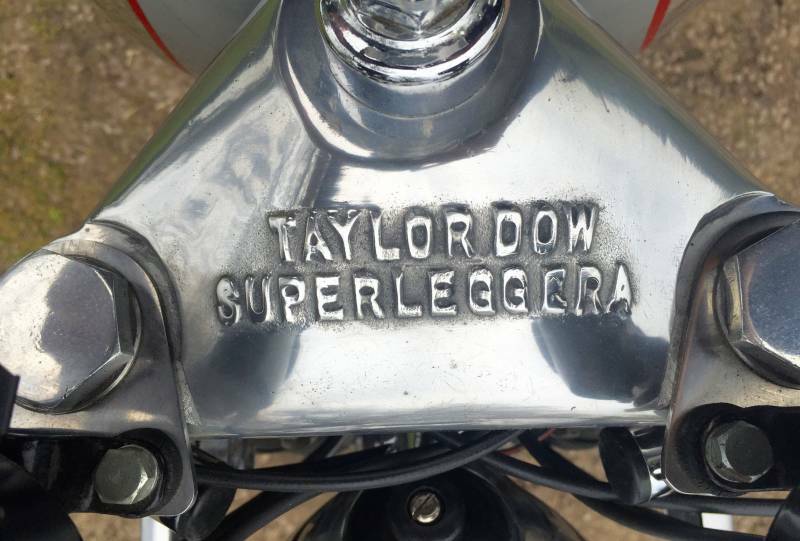 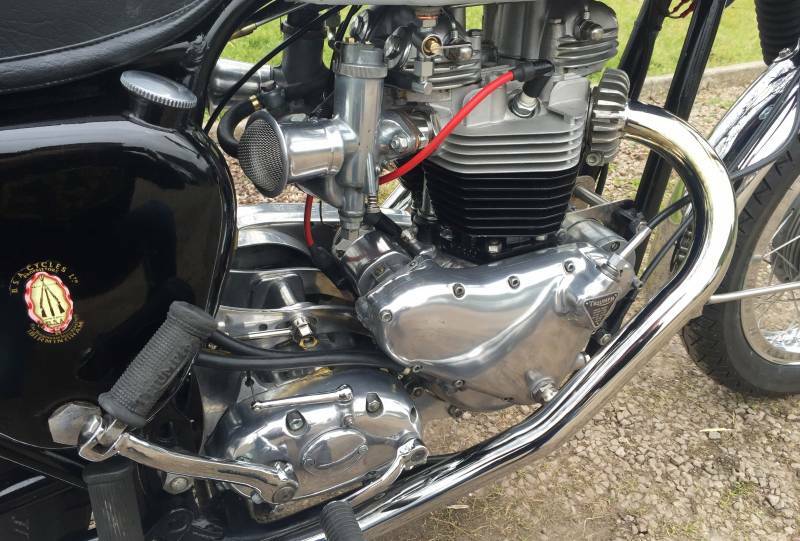 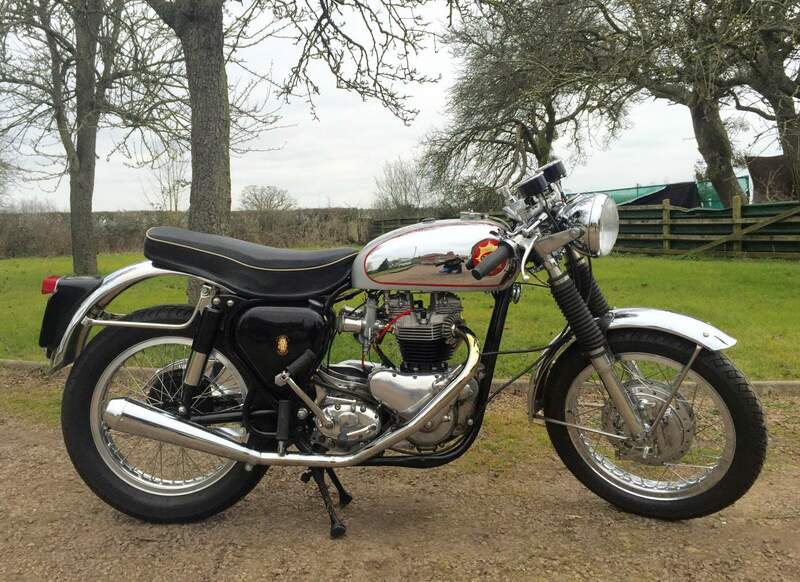 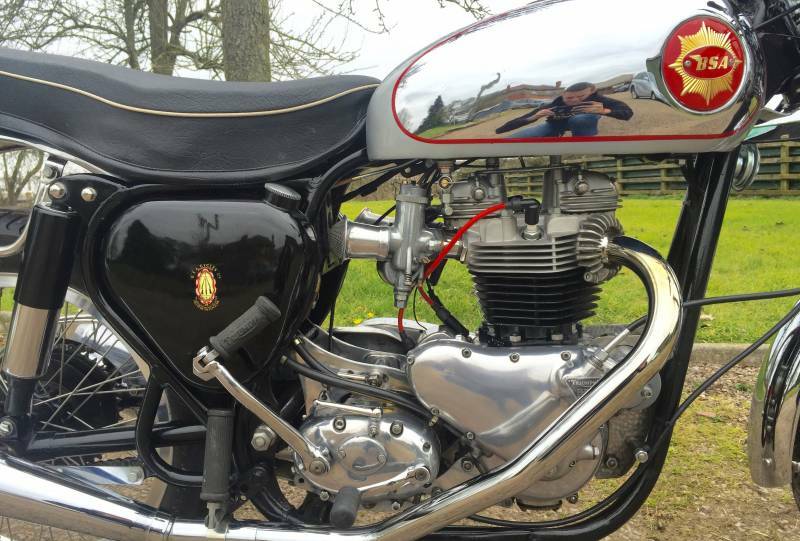 Gold Star tank, Norton Forks, Taylor Dowe Superleggera top yoke and TLS front brake. 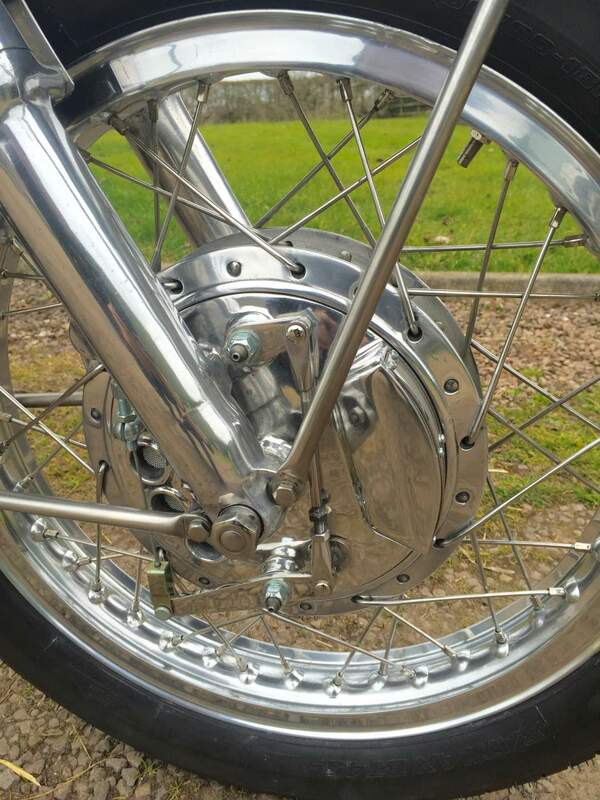 Twin Smiths clocks, new wheels and tyres. 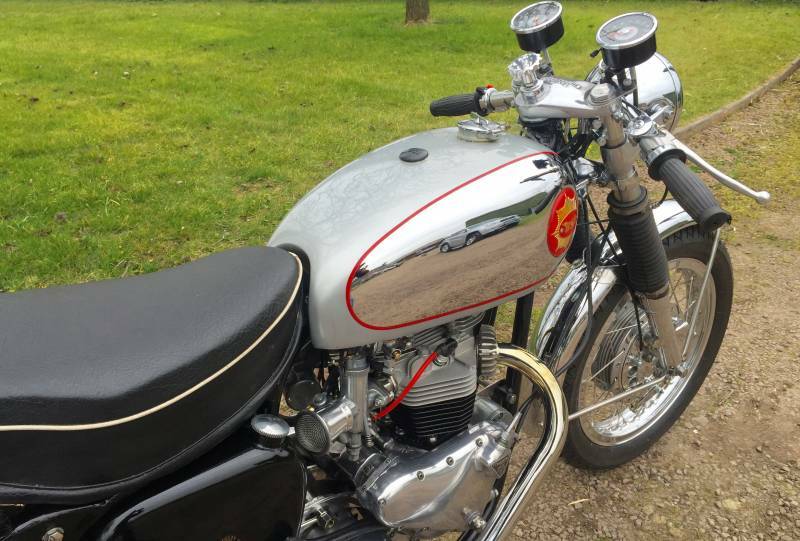 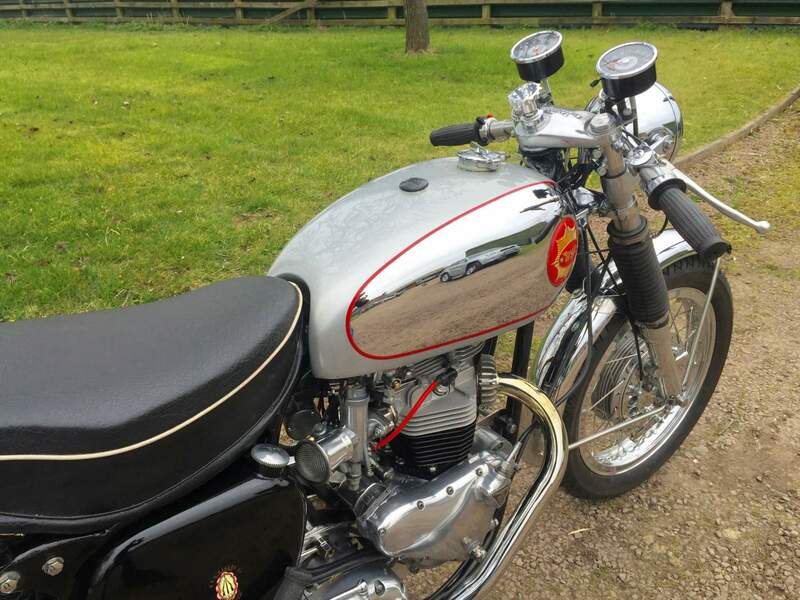 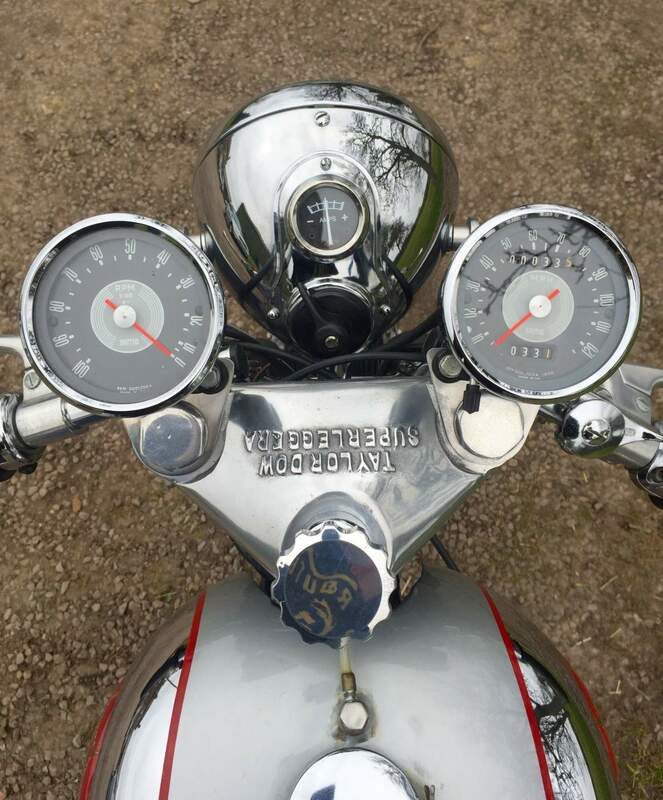 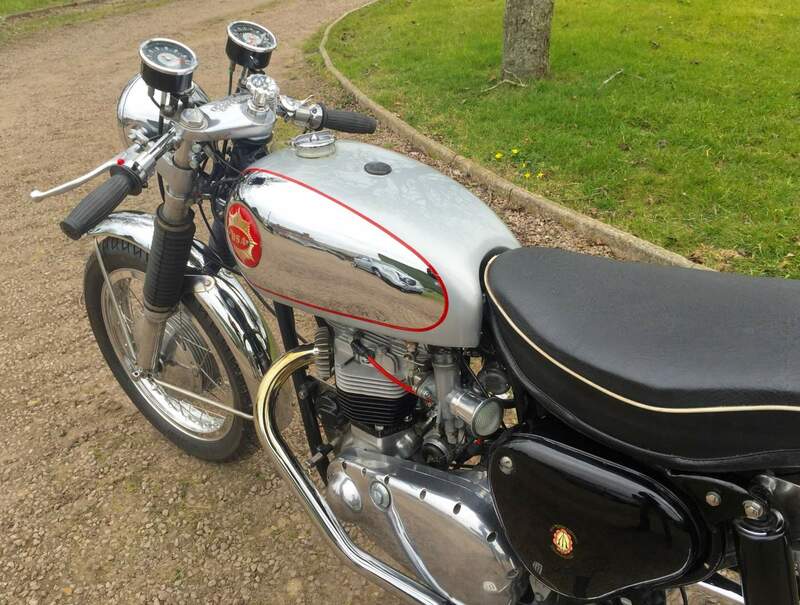 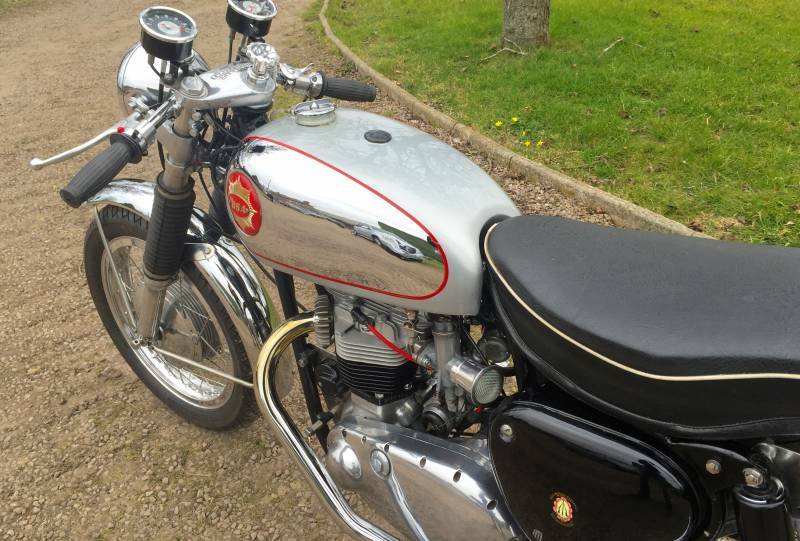 This Tribsa is newly built to a very high Specification and is immaculate throughout. 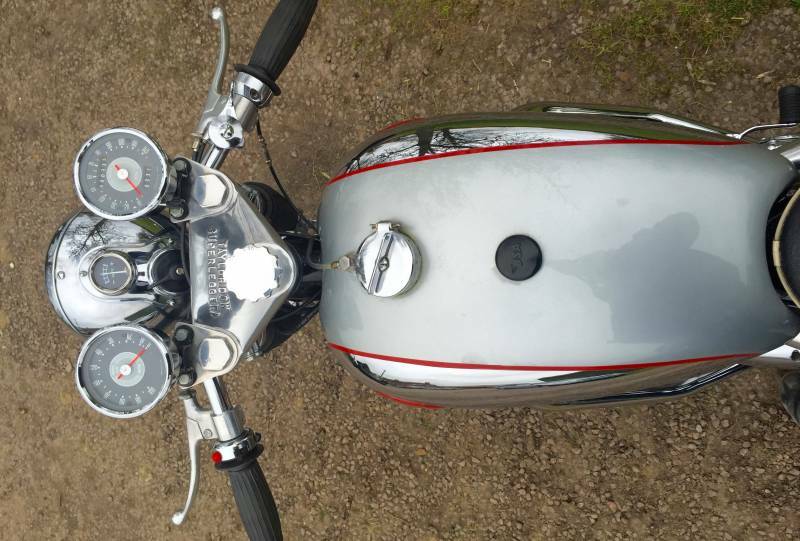 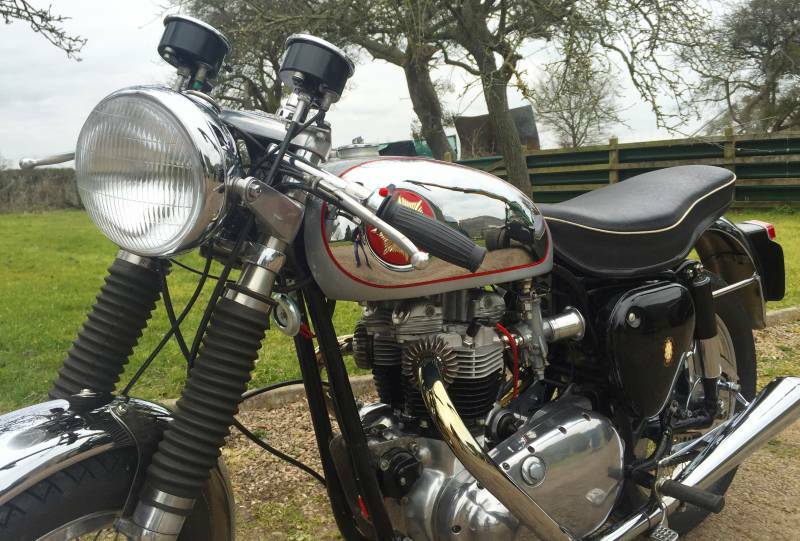 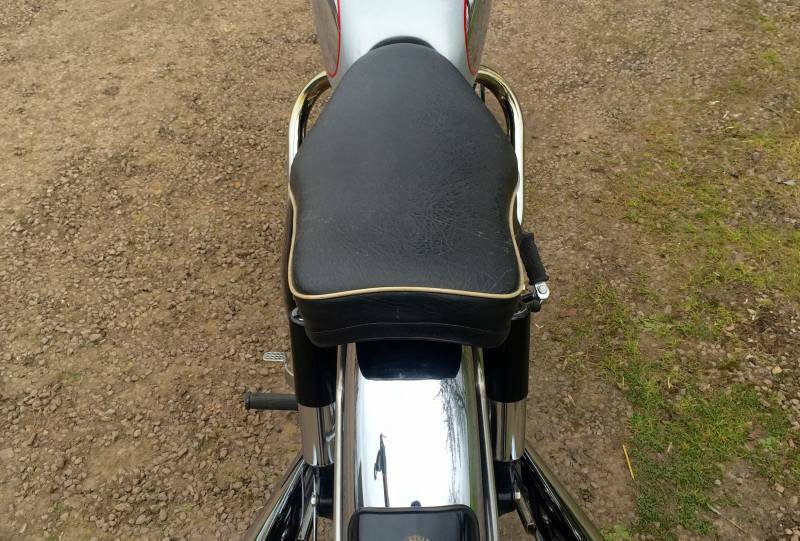 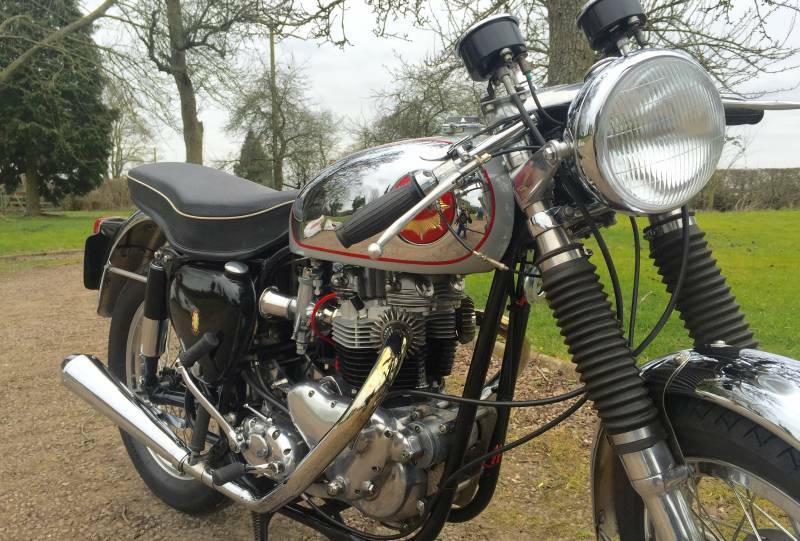 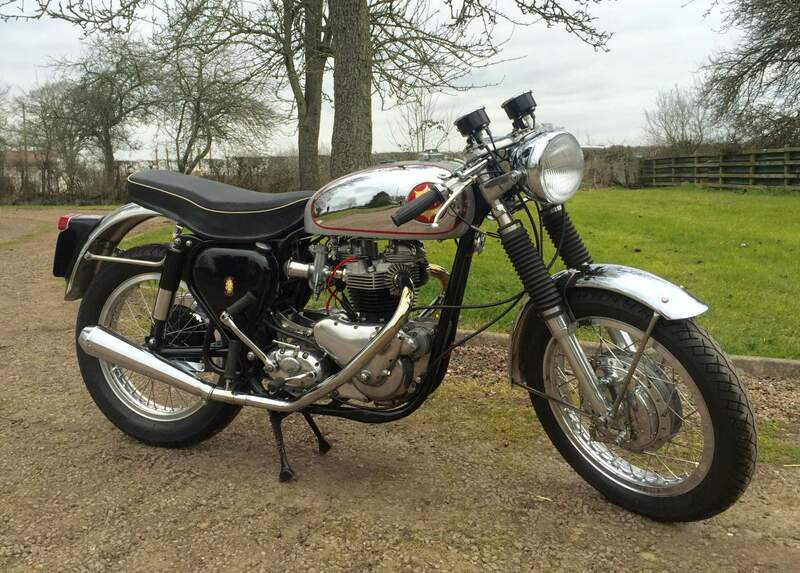 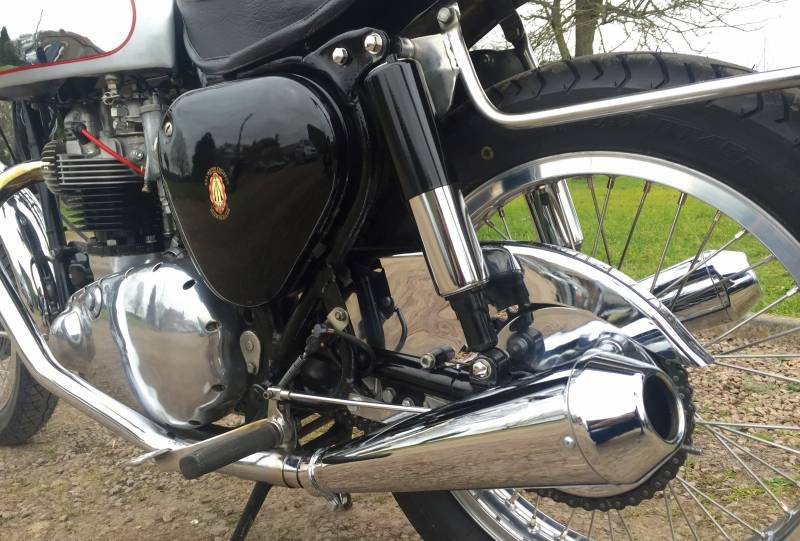 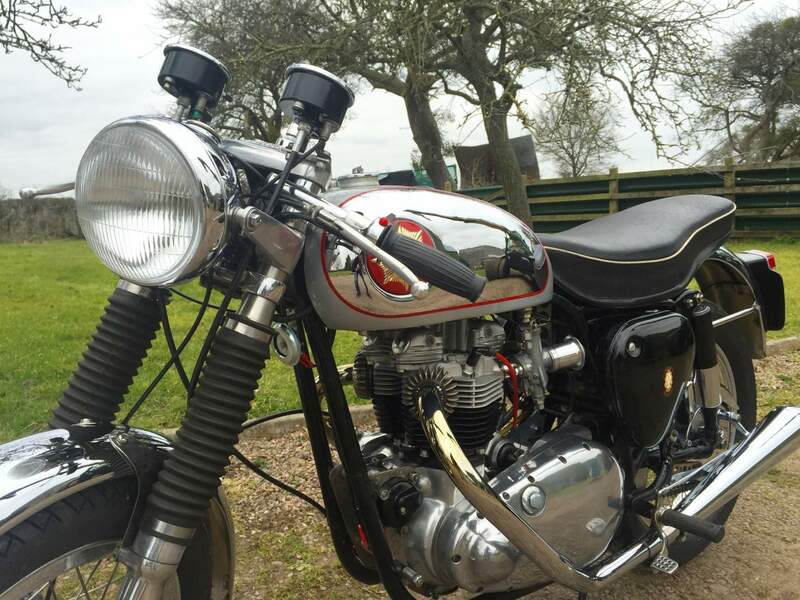 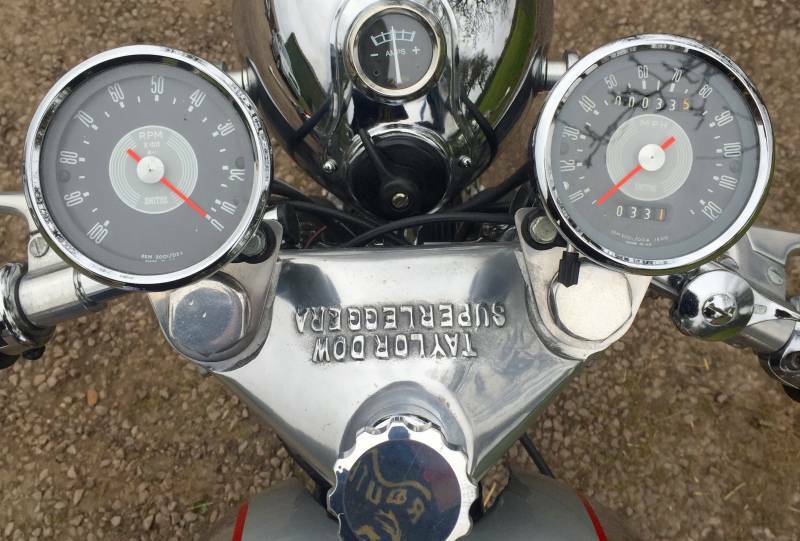 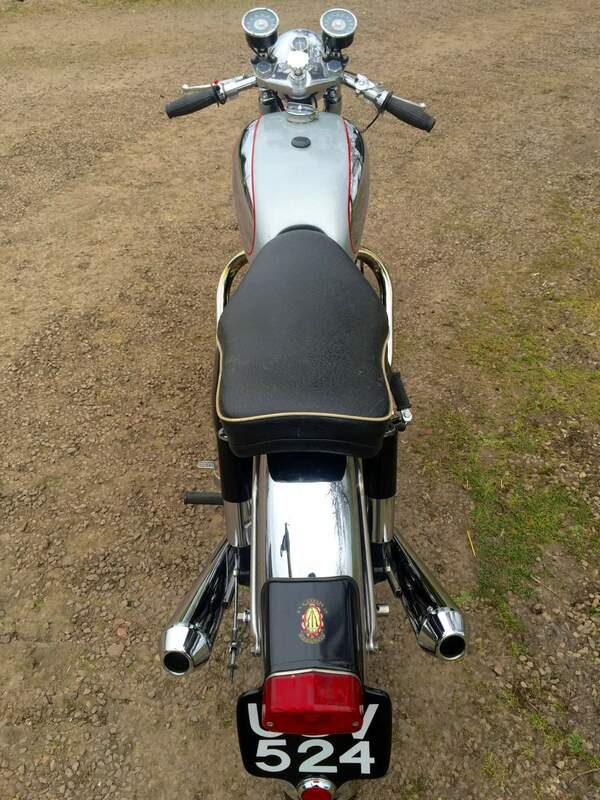 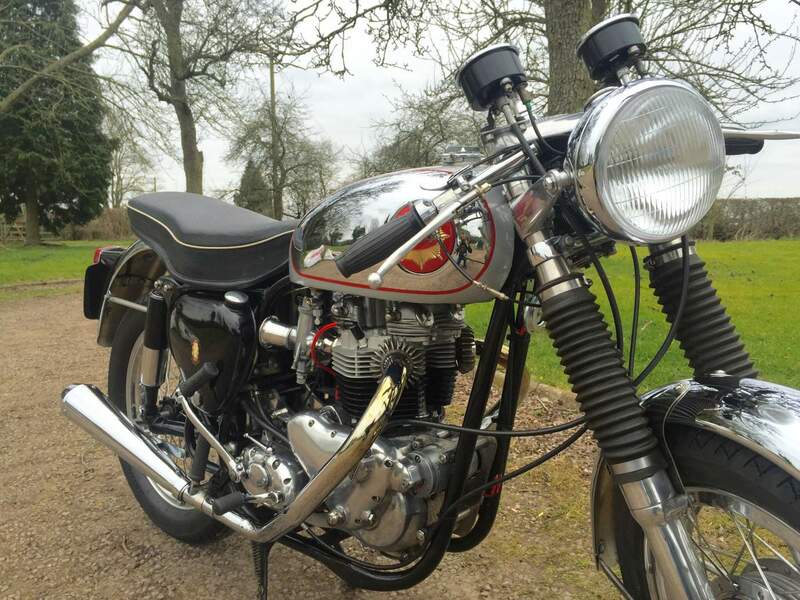 A must see if you are considering buying a cafe racer. 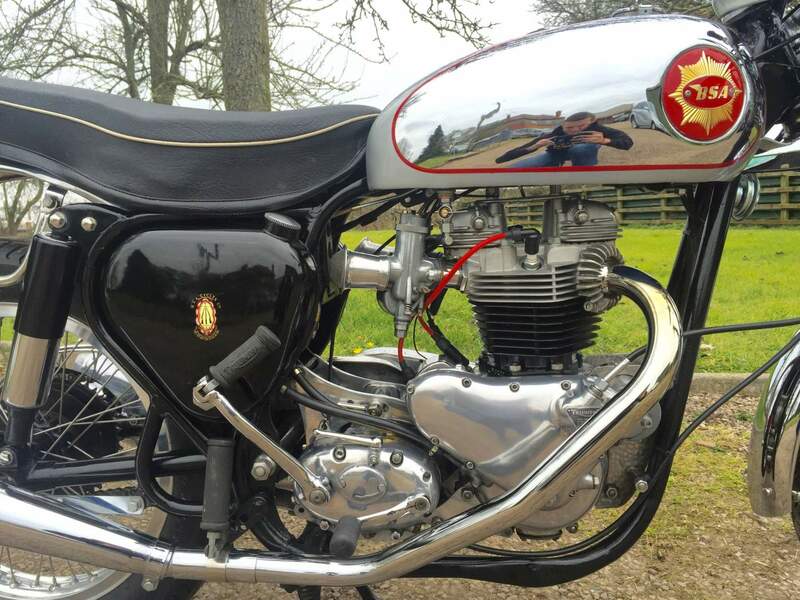 A very powerful machine which sounds as good as it looks.